In popular culture, “being devoted” means that you are committed or dedicated to something or someone. You might be a devoted husband. Or you might be devoted to recycling, or to eating clean, or to physical fitness or to some sport. Perhaps you are devoted to some TV show, meaning that you never miss an episode. Or you may be devoted to your career, to advancing at work. On one level, we all know what being devoted is. But what about spiritual devotion? Is it more than spiritual commitment? More than devotions? What does the concept of devotion mean in the Bible? Want a fuller, more comprehensive understanding of what it is to be devoted to the Lord? Want to understand devotion accurately so as to respond with devotion appropriately? Then we invite you to come along with us for the journey. In Acts 1:8 Jesus said, “You will receive power when the Holy Spirit comes on you; and you will be My witnesses in Jerusalem, and in all Judea and Samaria, and to the ends of the earth.” Throughout this 6 week series we will look at what made the early church effective in evangelizing the lost, what will make our efforts effective, and what methods and strategies will be helpful. In our study of 1 & 2 Samuel, we will see how hard it is for people to follow God's path. We will also see how necessary it is for us to follow Jesus, our permanent, perfect King and Priest. In the midst of so much uncertainty, as believers we will be reminded of what we can know for sure. In this book, John tells us that we can know we are forgiven, in right fellowship with God, the difference between worldly and godly, the truth, what love it, what love looks like, how love impacts our lives, that we are saved, and much more. After Joshua had dismissed the Israelites, they went to take possession of the land, each to his own inheritance. The people served the LORD throughout the lifetime of Joshua and of the elders who outlived him and who had seen all the great things the LORD had done for Israel... After the whole generation had been gathered to their fathers, another generation grew up, who knew neither the LORD nor what He had done for Israel. 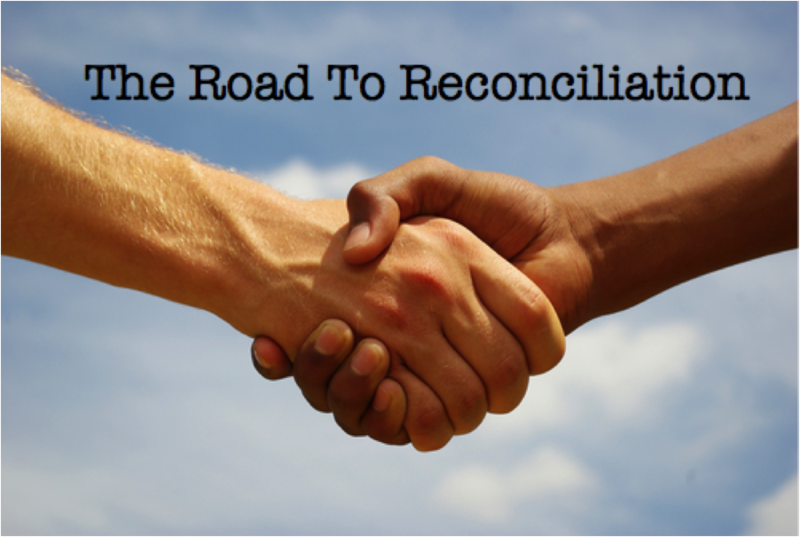 The road to reconciliation can be long and hard. It's often a process that takes time, prayer, and sometimes a counselor. Specifically, it involves open communication, trusting in the work of God to restore, a willingness to see your own faults, confess, repent, and forgive. When Christians do this, they turn conflict into an opportunity to strengthen relationships, preserve valuable resources, and make their lives a testimony to the love and power of Jesus Christ. Through this book we will see that the road to reconciliation involves a mediator, a changed heart and mind, and forgiveness. In the book of Philippians, Paul uses the word joy, or a form of it, over a dozen times. Paul was able to experience joy in life through His relationship with Christ. Regardless of his circumstances, or their outcome, Paul trusted in the Sovereign God. In any and all of life's situations, no matter how hard or confusing, we too can have joy in life through Jesus Christ. Since we wish to ascertain whether or not we are a healthy church, what do we measure and how do we measure? What is Jesus’ standard of measure? I’m asking the question “What Does Jesus Think?” because I really want to know what Jesus thinks about our church, about our ministry. I want to bring us into alignment with His will at any point where we are out of alignment with His will. This series is about our church as a body, as a group, but it’s also about me and you as individuals…because the church is a collection of individuals. What is satisfying, what brings contentment, what fulfills? Where does our search for satisfaction (contentment, fulfillment) take us? What is the meaning (purpose) of life? …of my life? Am I significant? Do I matter? Does it matter and will it matter that I have lived? Am I important here and now? And in the bigger picture? Atheists would say that passing on your DNA warrants your consumption of resources and validates the significance of your existence. That’s it? The writer of the Book of Ecclesiastes sought the answers to these and other questions, and this book is his conclusion having thoroughly investigated answers to these questions. Joshua did stuff for God, and I want to do stuff for God too. He had a teachable heart, a willing spirit, and humility marked by availability, loyalty, teachability, obedience and faithfulness. Let’s learn from his example. We at FTC claim that the Bible is the written word of God. It is true, without error, and it is authoritative. Everything we teach here has the Bible as its basis and authority. It is not merely a truth but its message is exclusively the truth. The Bible (all 66 books) is not merely a word from God, it is the word from God. All our theological beliefs are founded on the Bible. The purpose of this sermon series is to learn why we believe that the Bible is the word of God. Our study will cover eight crucial topics: revelation, inspiration, canonicity, inerrancy, reliability, translation, interpretation, and application. Believers and non-believers alike have genuine, heartfelt questions, common sense objections, and intellectual problems with Christianity born out of their real life experience and education. Here at FTC, we provide a safe place to discuss your doubts and ask your questions. And we discuss answers and options in a friendly, non-threatening environment. This sermon series addresses common questions, offers credible, thoughtful responses and invites discussion. Inquiring minds welcome! Whether you go out to work everyday or work at home, the daily routine of your job can cause you to loose sight of the big picture…God’s big picture. If you work at an office, in a factory, in a store, in a warehouse, in a vehicle, at home raising children, at school getting an education or if you know and pray for people who do, then the this sermon series “God At My Job” is for you. All kinds of human suffering have resulted from sin, natural disasters, diseases and accidents. The big question is “Why does God let this stuff happen?” or “Why doesn’t He stop it?” God speaks to the issue of evil and suffering in the Bible and answers our questions. And His answers make sense and give us hope. It is essential that we answer these questions on the intellectual level, but it’s not enough to answer these questions on the intellectual level…because those who are hurting are hurting emotionally. Understanding what the Bible says will grow hope in your soul, but will not lessen the pain in your heart nor remove the source of the pain from your life. Understanding what God has said will help your grow toward understanding who He is, what He’s like and what He has done, is doing and will do. You’ll still live with hurt, but you’ll live with hope.